I bet many of you guys never knew about this. According to this piece on ABC news, the rubber compound in tires dries out over time and becomes brittle after 6 years or so. This can lead to blowouts, nasty rollovers and to the premature pushing up of the the old daisies! The scary thing is that potentially dangerous tires are sold as new at major auto outlets like Sears. Legally they are new, having never been used and having no tread wear at all. Before 2000, the date code had three digits so if your little code only has 3 digits then you're already in trouble, your tires are a minium of eight years old and could potentially be deadly. Just looked at the tires on my ride and the code I see says 0504, this means the tire was made in 2004. So peeps it's time to grab a flashlight and go and check the age of your rubber, EVEN IF YOUR TIRES ARE NEW or the tread looks good! In the photo above, the date code is 8PY806. 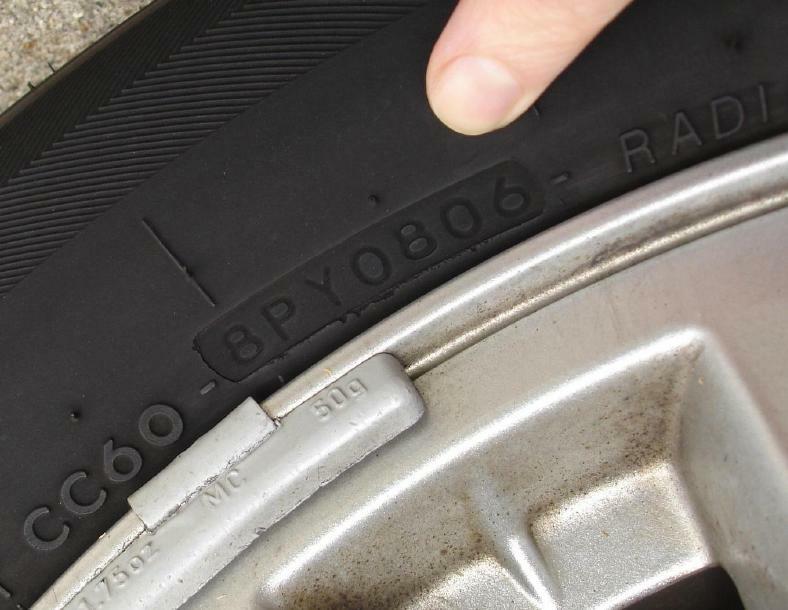 The 8PY is a manufacturing shift code, and the date the tire was actually made was 0806, which is the 8th week (08)in the year 2006 (06). The date of manufacture is essential information for car owners and tire buyers because tires deteriorate even if they are not used. European automobile manufacturers recommend replacing ANY tire that is more than six (6) years old, including the spare tire. No such recommendations have yet been made by domestic vehicle manufacturers. You guys might be thinking that you are getting a great deal on brand new tires. But in reality they NEW (expired) tires. Many places that sell them don't go by expiration... just by usage because even they don't know about this. 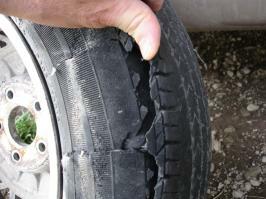 You might want to reconsider the next time a good deal with with tires seems too good to be true. This is what can happen to expired tires. 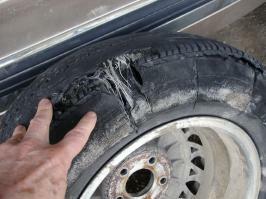 This 15 year old tire was rotten and failed at 70 mph on the highway. Fortunately, the driver was able to maintain control of the vehicle and did not crash. Others have not been so lucky. Another view of the same tire. You can see how rotten this tire was and how easily it just fell apart. I came across this on Yahoo sometime last year. I told my coworkers and everyone scrambled to go check their tires....mavis made so much money because of me. It was crazy to see how many ppl were actually riding around on expired and dangerous tires. but now lets say you bought some tires online, like off of tirerack. then what do you do? ?